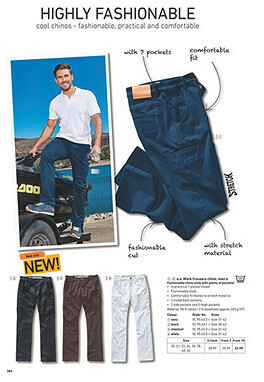 Fashionable chino style with plenty of pockets! Material: 98 % cotton / 2 % elasthane (ca. 265 g/m²).